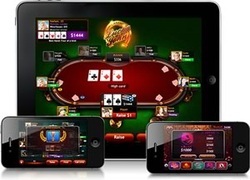 Over the years there have been no shortage of play for fun poker apps like Zynga or WSOP, however, only recently have poker players been able to play Texas Hold'em or Omaha for real currency on their phones or tablets. 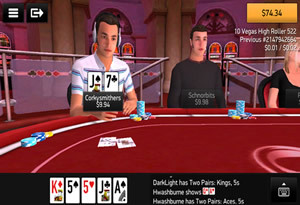 Here are our reviews of the best poker games. Poker is one of the fastest growing sports on the planet thanks largely to advances in digital technology. A whole generation of new players were introduced to Texas Hold'em due to increasing popularity of Facebook, which allowed users for the first time to challenge their friends to a few games regardless of their geographic location. The advent of the smartphones and tablets like the iPhone and iPad meant that gamers would take their game on the road and play from virtually anywhere they like. 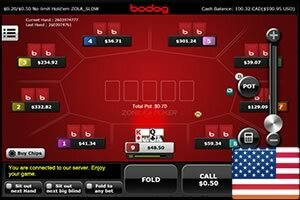 For the first time United States poker players can now enjoy play real-money Omaha, Texas Hold'em and tournaments on their Android, BlackBerry, Windows Phone, iPad or iPhone at any of these poker sites. United States poker and sports betting giant. USA poker players welcome. Play instantly on your smartphone or tablet without having to install an app. mFortune is the only real money app to work on EVERY phone and tablet. Every new player receives £5 completely free without making a deposit. Primarily a mobile casino so the tables are full of loose & fishy players. 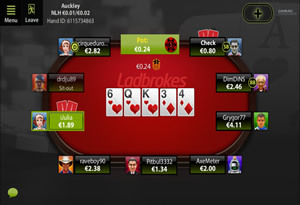 One of the biggest brands in poker is now available on both iOS & Android. 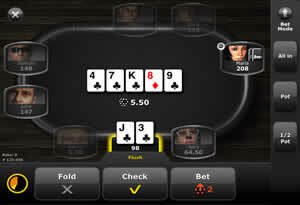 Choose to play Texas Hold'em cash games or fast fold turbo poker. Welcome United States real money players from the state of New Jersey. 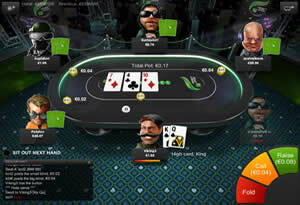 Unibet have developed a tablet specific poker apps for iPad and Android. Texas Hold'em cash games, speed poker or tournaments on the move. Fun and unique tablet poker site aimed at recreational players. Texas Hold'em cash games from one of the world's biggest brands. Currently only supports ring games and speed poker. No tournaments. Make the most of the iPad's retina display with PKR's 3D graphics. Plenty of soft competition as a result of a younger video game audience. Take the app for a test drive thanks to PKR's $5 instant no deposit bonus. 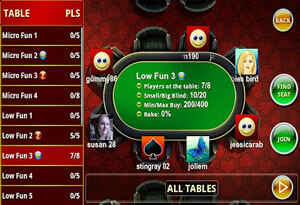 Play real-money Texas Hold'em ring games or fast fold games on iPad. Sit & Go tournaments on iOS, Samsung Galaxy, HTC, Motorola & Sony. Play money and casino games also available. Mobile cashier for deposits. Lightening fast turbo poker that eliminates the need for table selection. Browser based so it works on every iOS, Android or Blackberry device. 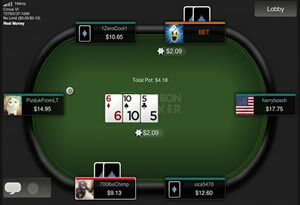 One of the few mobile sites to offer freeroll tournaments and rakeback. The only United States friendly iPhone, iPad and Android compatible client. 100% Security. Carbon Poker are fully licensed and regulated in Canada. No download needed. Play from any iPhone or Android browser instantly. Just when most commentators thought we had seen a peak in the popularity of the game, something unexpected happened, Steve Jobs unveiled the very first iPhone back in June 2007 and everything changed overnight. You didn't need to be a genius to see the potential that this new smartphone had for anyone with an interesting in gambling. Casino gamers, sports fans and poker players now had a miniature computer that had comparable processing power to their laptop/desktop that would fit in their pockets. From day one it was obvious that the devices touchscreen would herald a new boom in the world of mobile gaming. For the first time, poker players could ditch their clunky keyboards and mice and experience a more intuitive gaming experience. While play-for-fun apps like Zynga and Jawfish Poker proved to be wildly popular with a whole new generation of poker players, the development of real-money poker applications was hampered by Steve Jobs initial reluctance to permit any type of real money gambling apps in the Apple App Store. This was understandable given that online gambling is illegal in many countries so Apple did not want to leave themselves open to the possibility of being sued for facilitating gambling in certain jurisdictions. This problem was solved when a geo-location feature was added to iOS 5 which could ensure apps could only be activated in particular countries. This led to a plethora of native bookmaker, casino and poker apps being released in countries like the United Kingdom, Ireland, Canada, France, Sweden, Denmark, Spain, Germany, Holland, Canada and Australia. Due to the draconian laws preventing online and mobile gambling in the United States, virtually every casino, bookmaker and poker room were unable to get their apps included in the official iOS App Store. As a result, many of these companies turned their attention to developing apps using a new mark-up language called HTML5 which provided a platform to develop technologically sophisticated web apps that could be played from any Safari, Chrome, Opera or Internet Explorer mobile browser. This emerging standard offered 2 major advantage over native smartphone apps. Firstly, for the first time gambling companies did not have to worry about whether their apps would meet the necessary development guidelines to get listed in the poker section of the App Store or Google Play markets. And secondly, since these apps could be played from any smartphone or tablet browser, poker rooms, casinos and sportsbooks no longer needed to develop individual apps for iOS, Android, Windows Phone and other mobile operating systems. 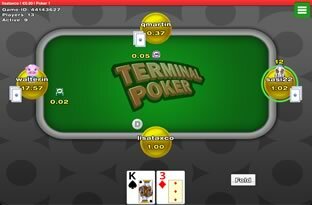 Thanks to HTML5, United States poker players can now also enjoy playing real money poker on their Apple tablets and smartphones. Click Here for information on U.S. friendly poker sites. The first iOS iPhone is introduced in September 2007. Google unveil the Android HTC Dream in October 2008. The App Store opens its doors for the first time in July 2008. 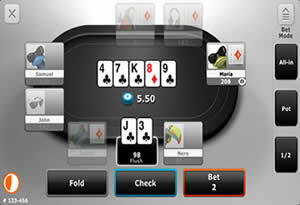 Bwin launch the first real money native poker app for iPhone. Steve Jobs unveils a new iPad tablet computer in April 2012. Apple release their new Mini tablet computer in Nov 2012. Adobe withdraw support for Mobile Flash in favor of HTML5. New Jersey becomes the 3rd state to legalize online gambling. In recent times a range of other tools and resources have appeared in the form of poker calculator and tutorial apps that greatly increase your chances of winning money at the tables.